Mobility is a key part of today’s modern workplace, as employees are using devices to take data on the go with them for anytime-anywhere productivity. Unfortunately, this flexibility and mobility comes at a price. Taking data outside the safety of your network is more risky than ever before, to both data being sent to and from the device. The use of a virtual private network, or VPN, can remedy this issue. It’s easy to be productive in the office, but outside the safety of your network, security is a bit less certain. You can never know who is watching your every move. They could be lurking in the shadows, collecting data simply by observing the traffic being sent to and from the device. This is when data is most vulnerable, so it would make sense that the next step would be to protect your data while it’s in transit through the use of a virtual private network. What it boils down to is that a virtual private network is an encrypted network that gives your organization a secure method of connecting to your business’s network on its in-house infrastructure. The encryption in place on the network scrambles the data into a series of characters that is extremely difficult to crack to users that don’t have the encryption key. This basically protects the data from any onlookers, making it useless for hackers to steal it while it’s moving. This is the primary reason why VPN is so helpful for businesses. While data can be intercepted in transit, the encryption basically renders any attempt to do so futile. Think of it this way--a VPN is a tunnel that connects data on your infrastructure to your device. Ordinarily it would be a clear tunnel, but when encryption is involved, it’s more of an opaque, or unclear tunnel. The true data will be obscured from the hackers, and unless they steal the encryption key too, they’ll be out of luck. Suppose you have dispatched staff members to an event that requires them to check in remotely and send data and information. Conference centers and hotels have notoriously been places where sensitive data is skimmed. 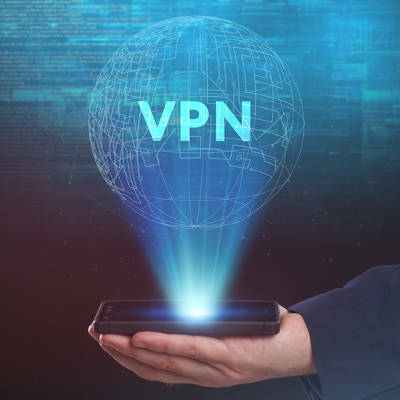 A VPN can keep your organization’s data safe by creating a secure channel in which your team can send and receive data, even over the venue’s Wi-Fi connection. Do you need to implement a VPN for your business? The short answer is yes, but the solution will need to satisfy your organization’s specific circumstances. To learn more about how you can make this happen, reach out to us at 734-927-6666 / 800-438-9337.